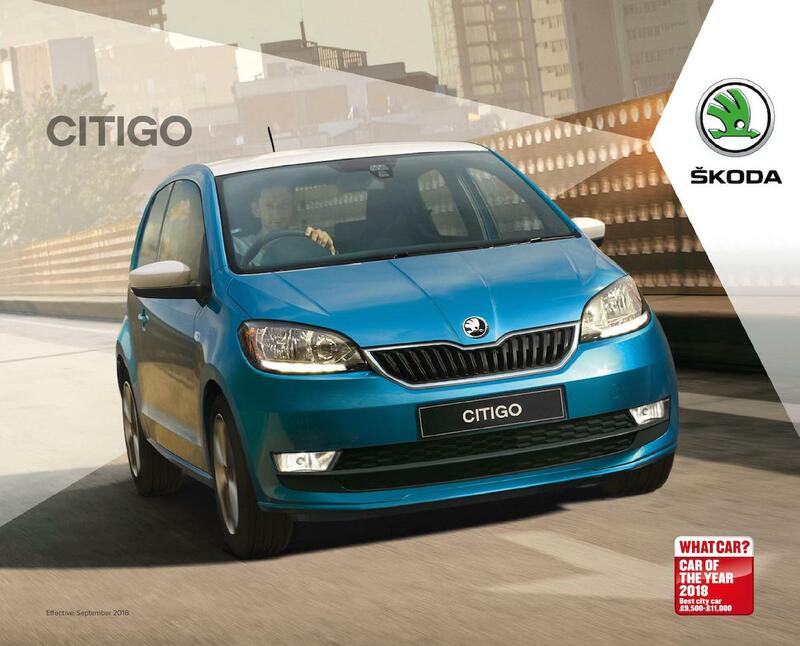 Sales brochure for the Skoda Citigo for the UK dated 09/2018. Models include the Citigo S, SE, Colour Edition, SE L, and Monte Carlo. Exterior paint color options are listed as Tornado Red, Candy White, Kiwi Green, Sunflower Yellow, Deep Black, Crystal Blue, and Tungsten Silver.